The Magento 2 platform is one of the most reliable, widely-used eCommerce solutions for businesses – large and small. According to Inc.com, “Magento is often considered the market leader among eCommerce platforms.” (Bill Carmody, Inc.com) The Magento support community, regular release of extensions, new features, and security updates makes the platform the top choice for running your eCommerce business. Whether it’s a brand new Magento 2 site build, ongoing site maintenance, installing security patches, platform version upgrades, or implementing a new extension – there are several things to take into consideration before making your final decision on who should be your Magento development company. First and Foremost …Are They A Magento Solutions Partner? While many web developers and agencies are knowledgeable with a number of different website platforms and systems, choosing a company that is a Magento Partner ensures a number of high-quality standards that other non-partner companies can’t offer. Magento Solution Partners must adhere to the stringent quality expectations that Magento has in place. Becoming a Magento Partner requires the agencies developers to be Magento trained and certified as well as for the agency to stay up to date by producing a number of quality Magento sites each year. Magento offers training and certification in sales, marketing, and development through Magento University, which ensures that all aspects of a development agency can be trained in Magento. 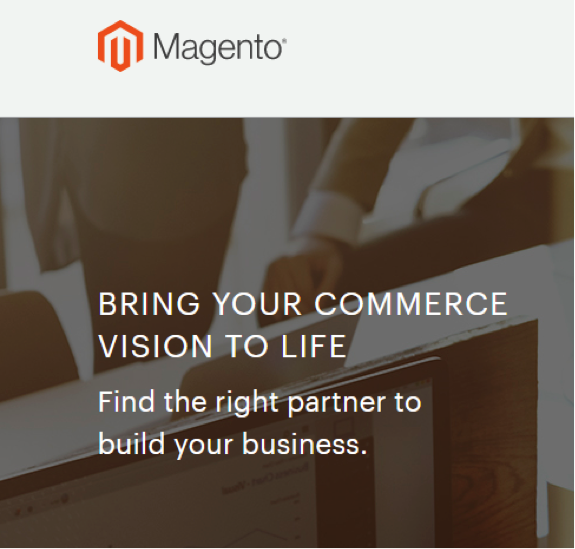 Magento makes it easy to find partners through their online portal. Customer Paradigm is a Magento Professional Solutions Partner, providing our clients with resources that include a team of Certified Magento Developers and Certified Solutions Specialists. Our partnership allows us to give our clients early information regarding security patches and version upgrades being released by Magento, allowing them to proactively secure their site and stay ahead of the curve. These questions are important to ask when researching the best Magento 2 development company to work with. While a newer Magento development company isn’t a bad choice, you may want to work with a company that has been in business longer and has a more substantial list of past (and current) clients. The more experience a Magento 2 development company has, the more comfortable and knowledgeable they will be with the platform – an important quality for understanding the many complexities of the system. On top of how long the development company has been in business, it’s important to hear what their other client’s have to say when it comes to working with them. How did they handle any emergencies that came up? Were they open with their communication and updates? Look for customer reviews and testimonials for that company. If another company offers custom personalization on products and you want to implement this type of functionality on your site look for reviews where others talk about their experiences having these features implemented. Another important item to look over is the company’s portfolio of work. What different industries has the company built sites for? What type of design work, not just development work, have they completed for other companies? Be sure to ask the development company about custom extensions and functionality that they have built and where you can review this work. While it may not be the same industry as your store, you’ll be able to see what the company is capable of designing and building. With any company, it is important to ask what their pricing structure is, if they offer any packages, discounts on blocks of time, and any other information around how they bill for the work they perform. Another important question to ask is if their pricing for web development work includes time for any non-development work, such as Project Management time. Depending on what your needs are for deployment on your live site, you should inquire about after-hours support and what the pricing is for this. If you are in need of 24 hours or after hour support you will need to ask questions such as: are they available to deploy overnight or on the weekend? Is the rate for after-hours work a different rate or the same standard rate they charge for their work? Another important item involving pricing you might want to discuss is how does the company handle tasks that were quoted at a certain amount of time but end up requiring additional time? Are you expected to pay for additional time needed for a task that took longer than expected? Having a clear understanding of who is responsible for additional hours needed for work and any stipulations around this is an important factor to be aware of prior to starting work with a Magento development company. Another price-related element to ask about how they handle 3rd party extensions: Who is responsible for purchasing any new extensions you want to have installed on your site? Is this something you need to purchase, or will the company purchase it and bill you for it? There are a number of Magento developers and Magento development agencies all over the world. While some companies in different countries may offer a lower price or hourly rate, you may have difficulties having issues addressed the same day or having a limited time frame to contact someone at the company during your daytime hours. This can also be problematic for deployment during a timeframe that you’d prefer – they may not be available for immediate assistance if an issue comes up, which leaves you with a live site that may not be appearing or functioning properly until they’re back in their office to help. Language and communication barriers are common with offshore developers as well, which is another factor to take into account. Regardless of which Magento development company you choose, you’ll want to ensure that everything is clearly communicated and agreed upon from the start. Understanding how a Magento 2 development company communicates with you about the work being performed is an extremely important factor to address early in the process. Will you be assigned an individual Project Manager that is your go-to for updates, questions, and testing? What communication channels will be used for keeping you in the loop on the work being performed? Open and clear communication with your main point of contact within the company is one of the most important elements for achieving your goals and ensuring that expectations are aligned on both sides. At Customer Paradigm, each client has a dedicated Project Manager that is with them every step of the way. Your Project Manager will work with you and the developers to clearly communicate the work being performed and ensure that tasks are meeting the timelines that have been set. They will also provide detailed updates through email and phone calls to keep communication open and transparent. While Customer Paradigm’s office is open during standard business hours, we do offer afterhours support for emergencies and issues that need to be taken care of immediately. A crucial part of your eCommerce site is how it looks and functions, and making sure that functionality remains intact after changes have been made on the site. Whether it’s an issue that was debugged, a new extension installed, or any type of additional updates, regardless of how large or small – making sure everything functions properly for your customers is a key task for every Magento development agency. An important question to ask a Magento 2 development company is, “What type of testing is performed on my site before it is sent to me for final testing and approval?” As the store owner of your eCommerce site, you understand the ins and outs of your site better than anyone. However, it’s still important to understand what the company tests when they make changes to your site, and what their process is for fixing anything that goes wrong with their changes. It’s also important to find out if they can revert their changes to avoid disruption to your site while they troubleshoot and debug any issues that come from the deployment. Another extremely important piece to ask about with your Magento 2 development company is what their process is for making changes to your live site, or what their process is for making a brand new site they’ve built for you, live and accessible by the public. Do they use a version-tracking system to track all of the changes they’ve made? What is their process for making changes to your live site? While some of these processes may be a bit technical, it’s good to get a clear picture of how the company handles this type of work and what you should expect when your deployment happens. After their changes have been applied to your live site, or your new Magento 2 site is live and ready for use by your customers, what type of support does the company offer if you run into any new issues not encountered during testing? Knowing what to expect in terms of support for any post-deployment issues should they arise is an important thing to know. There are many options to choose from when deciding on which Magento 2 development company with which to work. While many may offer certain elements that seem like a good deal, it is important to research your options fully to ensure that you’re getting the best quality, fair pricing, work that is reliable and stable, and the company that is overall the best fit to help you build and grow your business. Customer Paradigm is here to help answer your questions about our Magento 2 development, details on our past projects, how our process works, and what we can do to help you achieve your eCommerce goals. 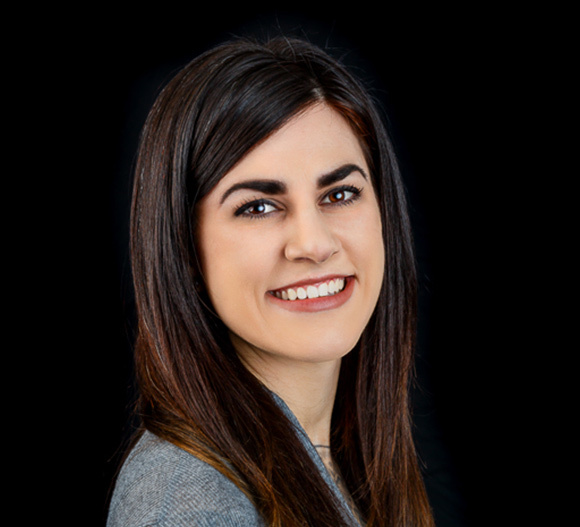 To connect with a member of our strategy team, fill out our contact form, call, or reach out via our live chat feature.